Marbles For Polish has just put up a pre-order for the new Sailor Moon Crystal Collection. This is a set of five textured polishes with microglitter in creme-jelly bases. Let's check them out after the break! First, general notes: each of these polishes is shown with four very thin coats, though two to three would do. They dry textured and are worn here with a single layer of topcoat. 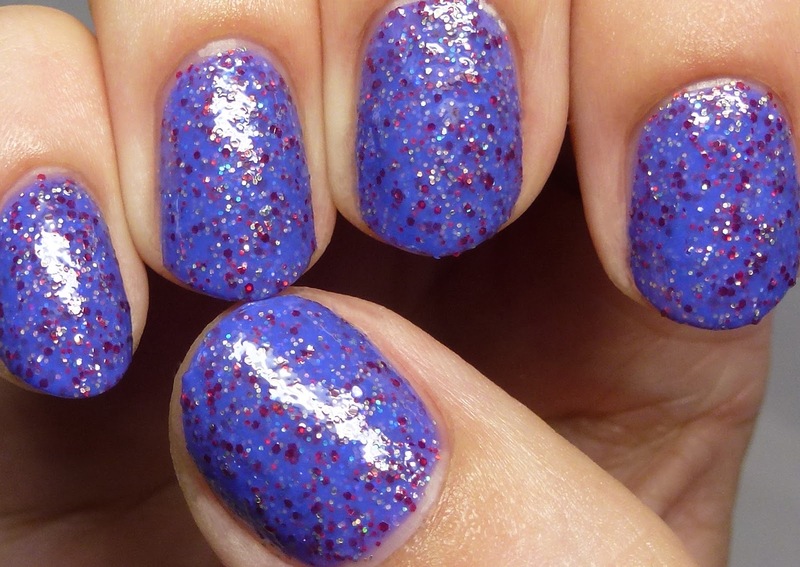 The formulas are easy and the glitter spreads smoothly. 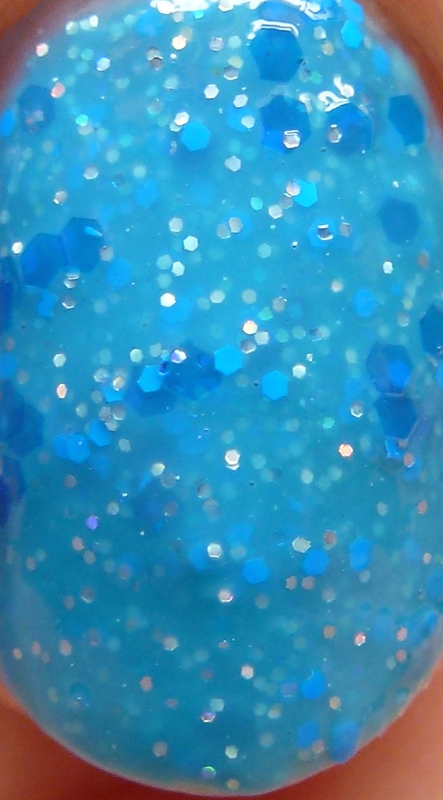 Aqua Mirage features two shades of blue glitter and silver holographic microglitter in a process cyan base. 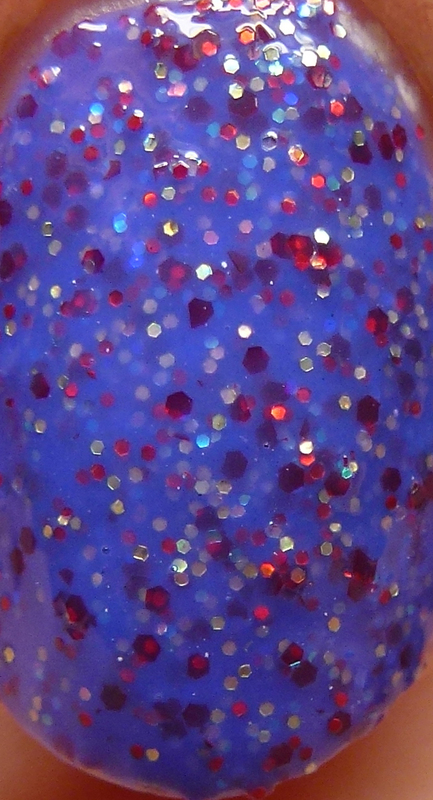 Fire Soul has holographic silver and violet microglitter as well as red and blue microglitter. The base is a medium slate blue. 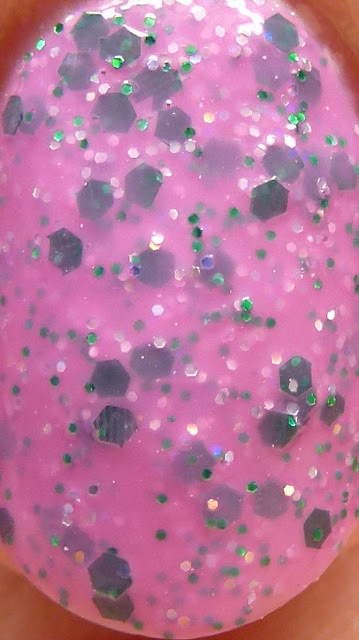 Flower Hurricane has two colors of green glitter and silver and violet holo microglitter in an amaranth pink base. Love and Beauty has gold, red, and aqua microglitter, along with silver and violet holographic microglitter in a glaucous blue base. 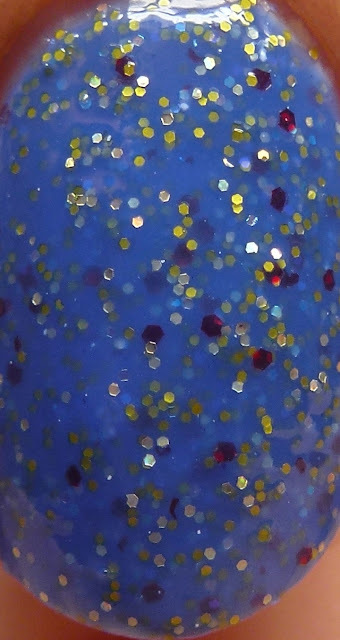 Moon Crystal has gold, dark blue, and aqua microglitter, along with gold and violet holographic microglitter in a light crimson pink base. 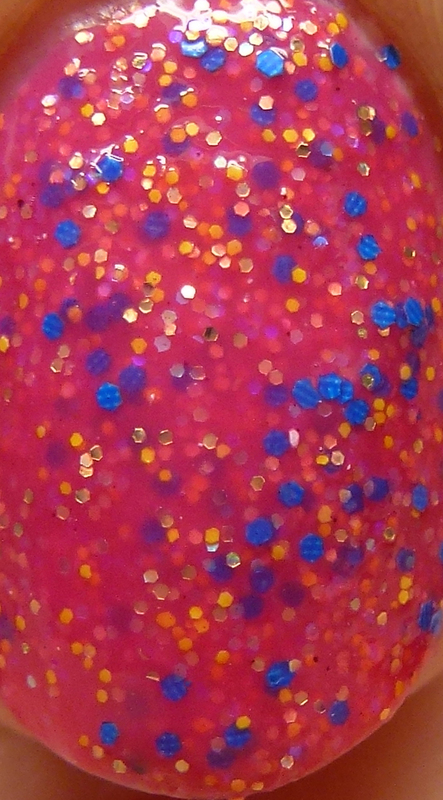 I really like the contrast effect between the microglitters and base and love that they don't look like other polishes on the market. Fire Soul, Love and Beauty, and Crystal Moon are especially lovely! These are currently available as a discounted pre-order set in both full and mini sizes. The mini set is priced at $20 and full size set at $40. They will be available after the pre-order with individual listings. Do you see any you like best?